“Green Values, Religion and Secularism” is a book published by Green European Foundation in 2015, in which Green politicians from different European contexts reflect on the relationship between politics and religion, both in their own lives and in society. Six European Green Foundations participated in conversations on religion, Green values and secularism with Green activists and politicians from Austria, Belgium, France, Germany, Greece, Ireland, The Netherlands, Poland and Turkey. 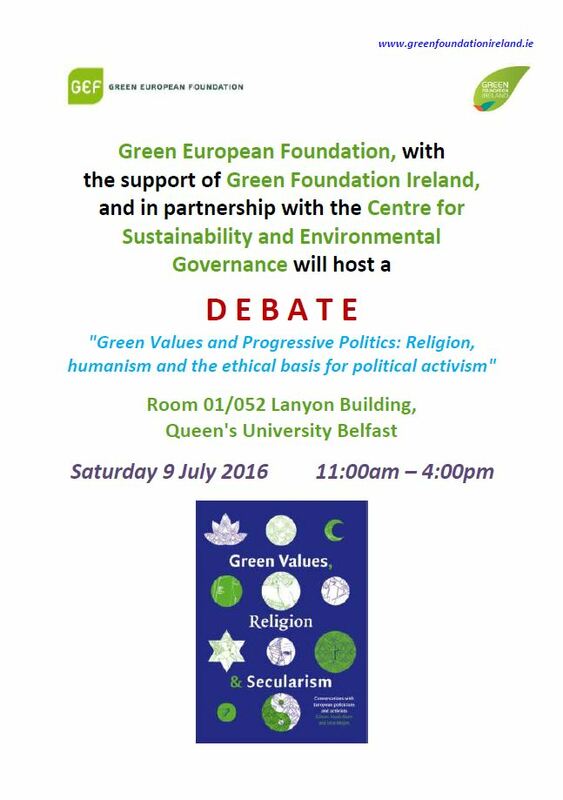 In the morning, Erica Meijers will speak about “Marx, Religion and Politics”, while during the afternoon there will be a discussion with Nuala Ahern, John Barry and Erica Meijers about the book “Green Values, Religion and Secularism”. There will be responses from Green activists, faith communities and humanists. The website was taking bookings when this page went up here.. This event is made possible with the financial support of the European Parliament to Green European Foundation.